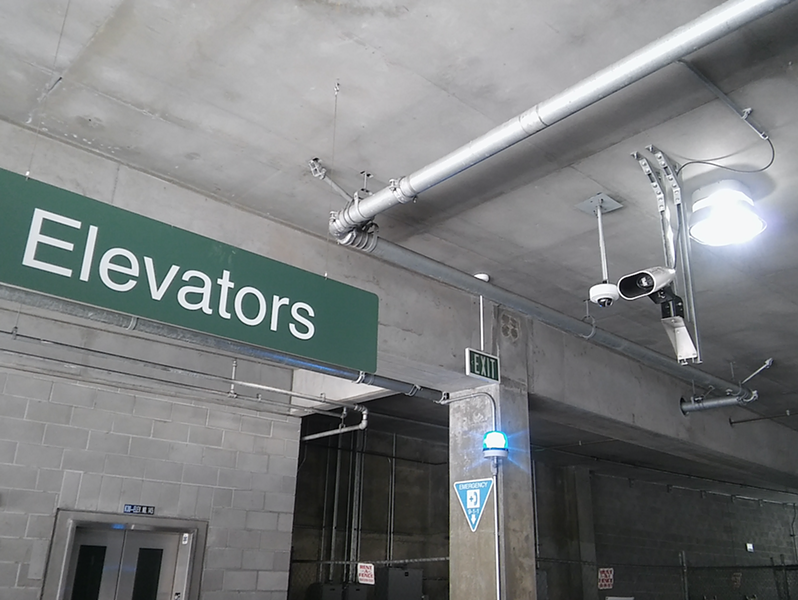 BART police installed ALPR cameras in the MacArthur Station Parking Garage. On Sept. 13, the Bay Area Rapid Transit Board of Directors is poised to vote on a surveillance equipment ordinance that, if implemented, will significantly protect the right to privacy and safeguard the civil liberties of BART riders while still ensuring public safety. In Oakland, we saw the negative outcome that can occur from lack of such a discussion, when the administration pursued funding for, and began building, the citywide surveillance network known as the Domain Awareness Center without community input. Ultimately, the community rejected the project, which resulted in the wasting of tens of thousands of dollars in staff time and furthered distrust in our government. If the ordinance is approved, BART’s board of directors would first need to determine whether the benefits of a surveillance technology proposal would outweigh the costs and concerns. Then a use policy will be developed governing the particular piece of equipment. Proper oversight of surveillance technology use and accountability through mandated annual reporting, and review by the board, will ensure that the use policies are complied with, and add transparency into the use of surveillance equipment by BART. Just this past week, BART denied this paper’s public record request into some of the surveillance technology presently being tested. It was an absurd response by BART, given that some of the requested materials would have been publicly produced as part of an agenda packet, and portions of the info will now be disclosed under the surveillance ordinance. The knee-jerk reaction by BART against transparency indicates a need for such a vetting framework as that now contemplated. It has become quickly clear that in the new Trump era, protection of our civil liberties must occur at the local level. Comments made by Trump cabinet members, and the executive orders issued by Trump upon his first few days in office targeting sanctuary cities and immigrants, make it more critical than ever that the amount of surveillance and personal data collected should be limited to the bare minimum, to ensure the safety of our community from unlawful and inhumane targeting. We applaud the effort by BART staff to find as much common ground with us as possible over the past two-and-a-half years since this project began, and we recognize the pressure on both staff and the board as they deal with very difficult circumstances around the quality-of-life and public safety concerns that are unfortunately a part of today’s BART ridership. Brian Hofer is a member of Oakland Privacy, and Chair of the City of Oakland’s Privacy Advisory Commission. Sameena Usman is the Government Relations Coordinator for the Council on American-Islamic Relations, San Francisco office.